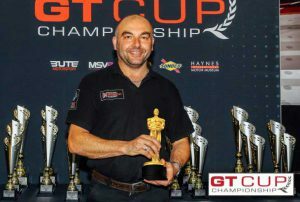 It’s been a fun and challenged filled season, taking part in the GT Cup GTO Championship, with epic mechanical faults and thrilling, close-run races in torrential rain. It’s now time for rest, reflection and recalibration, giving our students time to get some modules finished before it all starts again in April! “Without the hard work and sheer dedication of a fair few people, it really wouldn’t have been possible so here’s my list of people I’d like to thank on behalf of myself and Team NMA. First of all, I’d like to thank Kevin and Pauline Riley for the opportunity that they have given us all – staff and students. 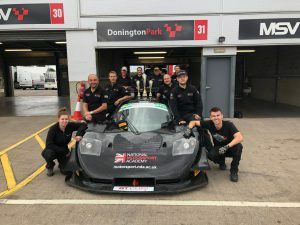 The team who make everything happen in the days and weeks running up to each race – Kieran, Wayne, Roger, Dan, Adam, Bella, Henry, Luke, Nigel, Jo and particularly Karen who keeps everyone going with panini’s, sandwiches and drinks every race weekend. DAN at Dr Bodyshop back in Nottingham for paint, prep and a fair amount of body repairs. Almost last, but certainly not least – the GT Cup organisers, race teams and on the ground race staff. So all at Bute Motorsport: Christopher Haynes, Hannah Wilson, Philp Boland & Christopher Thorn. The other teams involved – you guys keep it fun and competitive! Not to forget all the marshals, photographers and event staff – many of these people volunteer throughout the year. Perhaps most importantly, I’d like to point out how much hard work and dedication it takes from the NMA students who support Team NMA at races across the country. 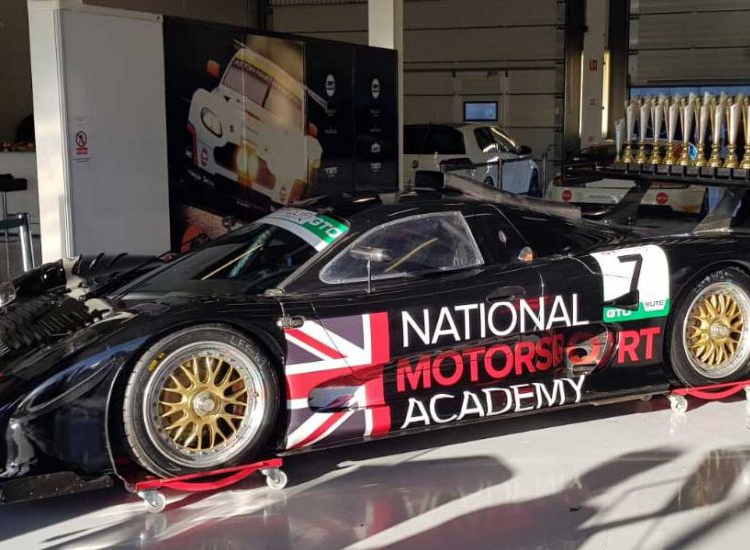 Thanks to the guys and girls who often work until the early hours, sleep in the transporter and work tirelessly to get the Mosler and Lotus Evora back out on track at each and every meeting – no matter what. Lastly, I wouldn’t be able to do what I do or achieve what I have without the continuing, endless support of my family – Justine and Joseph. 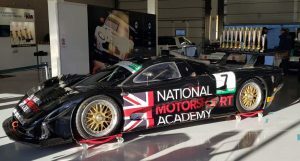 If you’d like to find out more about racing with Team NMA next season get in touch!